Come to the island! Sought after Palma Del Mar first floor unit, with a covered walkway from garage to condo. Beautifully updated condo that 8217;s move in ready! Furnished including TVs. Tile floors throughout, stainless steel appliances, tile back splash, built-in pantry with wine storage, new 2018 full-size front-loading washer and dryer, both bathrooms updated nicely one with a jacuzzi jetted tub, the other with a walk-in shower, designer faucets, furniture style vanities, white granite in master with built-in shelving and more. Condo painted in light and bright colors. Enjoy golf course views from most rooms, and easy access through sliding doors to screened in porch from living room and guest room with tropical and fairway views. Amenities include Waterfront, heated, beautiful community pool and spa w/ amazing views of Boca Ciega Bay! Water access to the Bay via stairs and a fishing dock. Easily launch your kayak or paddle board or wade in to fish! Under building assigned parking with covered walk way (no worries if it 8217;s raining out) w/ ample guest parking, bicycle storage, pool baths, patio area, fitness and recreation center right in your building! Extra storage available with this unit. Close to St Pete Beach, Ft Desoto, downtown St Petersburg and easy drive to TIA, Tampa, Sarasota and more! Great value in Isla del Sol! Golf membership is not part of the HOA. Additional Water Information: Large pool area overlooks water. Fishing off pier / dock. 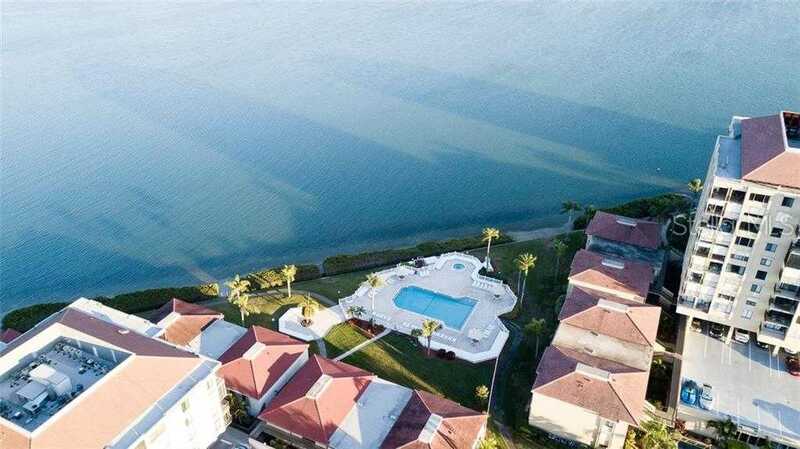 Please, send me more information on this property: MLS# U8041200 – $235,000 – 6269 Palma Del Mar Blvd S #112, St Petersburg, FL 33715. I would like to schedule a showing appointment for this property: MLS# U8041200 – $235,000 – 6269 Palma Del Mar Blvd S #112, St Petersburg, FL 33715.